John W. Welch, of BYU Studies, responds by encouraging others to access the web resources available from BYU Studies. Mollie, a non-Mormon, responds on GetReligion with skepticism about the more generalized claims in the NYT article. Ben Huff, writing at the Times and Seasons blog, encourages and information rich environment where many unofficial auxiliaries helping to fill-in the gaps, since in Huff’s opinion, fully fostering the kind of information rich environment necessary is not feasible for a worldwide institution, like the Church, to do on it’s own. John F., at By Common Consent, responds to some extent to Huff, arguing the Church needs to be more involved in disseminating this information. The Interpreter Foundation responds by providing some links to FAIR resources on the issues discussed, and quoting from Terryl Givens and Elder Jeffrey R. Holland on dealing with doubt. Jeff Lindsay weighs in with some suggestions on how to balance doubt with faith and how support others in a faith crisis. Joseph Walker, of the Deseret News, stresses that doubt is not a sin, encourages the building up of faith that can absorb doubt, and promotes the FAIR Conference and Sunstone Symposium as places to get help/find answers. Many, of course, are trying to understand how this could happen to someone with such a high position in the Church. 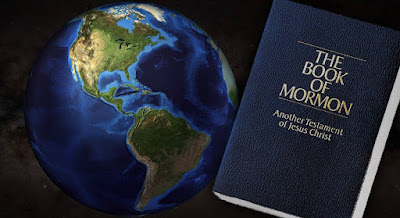 My personal hunch is it has to do, at least somewhat, with location – Sweden, and Europe more generally, is well developed with wide Internet access, where most anti-Mormon materials are readily and easily found. Meanwhile, LDS scholarship doesn’t generally circulate out there. Most LDS scholars are Americans, and LDS scholarship is largely aimed at an American Mormon audience. I can’t imagine something like this happening to a leader with an American background, because my experience tells me that in the US, most of the members who tend to hold local leadership positions also tend to be aware of LDS scholarship, and not just in Utah. On my mission in Virginia and North Carolina, I took the time to check out many a members bookshelf. I can remember seeing (and, I confess, sometimes browsing) works published by FARMS and historical books from Deseret Books, etc. I can remember seeing Echoes and Evidences for the Book of Mormon on the shelf of Ward Mission Leader, and a Sunday School teacher who frequently used the works of Hugh Nibley in his lessons. I remember small talk before and after Ward Council and PEC that discussed books by Richard Bushman and Terryl Givens. I just recently stayed with a member in North Carolina (from my brothers ward, as I went out there to help him move back to Utah) who had several of Nibley’s books, a volume from the Joseph Smith Papers Project, and even a signed copy of Joseph Smith’s Quorum of the Anointed, from Signature Books. These are just a few examples off the top of my head. I saw these kinds of works on the shelves of members in low-income and high-income areas, and the people who had them also tended to be the ones in leadership positions. I don’t mean to imply that local leaders in the US always are aware of LDS scholarship, or always know the troubling issues, or can never experience a faith crisis. Nor do I mean to imply that American’s are better, smarter, or more capable of dealing with doubt than Europeans. All I am saying is that LDS culture in America is more developed, providing more access to resources that help deal with these issues. The result is that the kind of people who filter up to the higher positions in the US tend to have already been exposed to those issues and, if they did have a faith crisis, worked through it. Now, that is all just my hunch, based on fairly limited anecdotal evidence, so take it for what it is worth. But I hope the other responses highlighted above are both interesting and helpful to those struggling with doubt and/or trying to understand the recent “wave of doubt” as it is being called. As I discover other responses that I think are helpful, I’ll try and add them to the collection above. What amazed me about the Mattson story was that it implied he had only recently encountered "credible evidence" that Joseph Smith was a polygamist. I grew up in the Church, far away from Utah (in Massachusetts), and I've now been an active member for 47 years. I can't remember a time when I did not know that Joseph Smith both taught and practiced plural marriage, nor can I remember a time when such information seemed in any way hush-hush. Granted, it wasn't something we sang songs about in Primary -- but I don't ever recall anyone around me treating that subject as something that should be swept under the carpet. I've known about Nauvoo polygamy for as long as I can remember. Maybe my experience was anomalous--but I don't really think it was. In short, if members are doing the reading that the Church tells them to do, no one should be blindsided by the fact that Joseph Smith was a polygamist. Some of the particular details might come as a shock, but that is different than being shocked that he practiced it at all.